Turn up the heat! 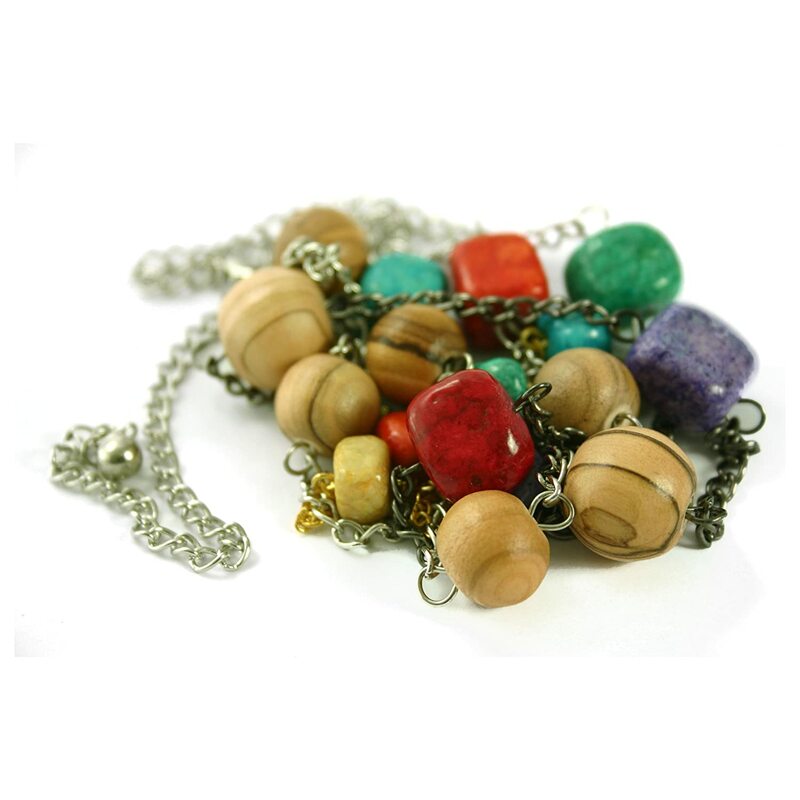 The bright colors of this Latin-inspired necklace are sure to unleash the salsa queen within you. This necklace is leading the pack in Amazon sales. As an owner of this necklace, it is easy to see why. Pairing perfectly with a black t-shirt and jeans for a casual rendezvous at the taco stand, or spice up your standard business attire. Go ahead...we dare you to do a little samba at the office! The Latin Spice Necklace features colorful ceramic beads and smooth hand-sanded olive wood strung on gold, silver and gunmetal chains. Measures 58 cm (22 inches) at the bottom most strand and easily extends to 72 cm (28 inches). Color and position of ceramic beads vary slightly on this unique hand-crafted piece. 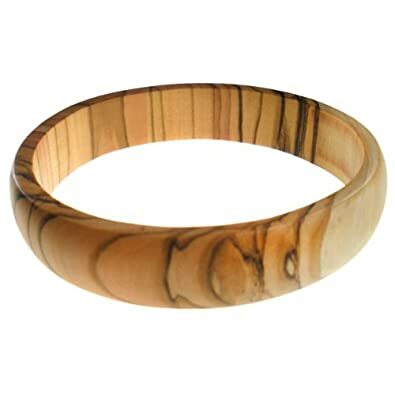 We chose to pair this necklace with the Thin Olive Wood Bangle because with this much pop, the bracelet you wear should be fairly simple, but still classy and unique. 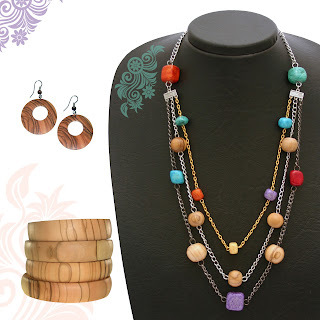 As with most of From The Earth's necklaces, you can choose a number of different earrings. 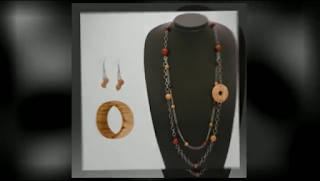 The Small Olive Wood Hoops are a good choice. 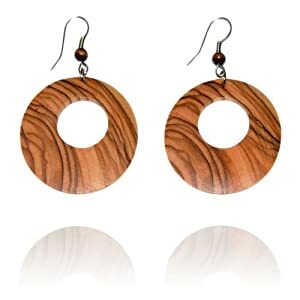 Frankly, it is a great excuse to buy the Small Olive Wood Hoop Earrings. They go with many different looks and are a great light-weight hoop to have in your jewelry collection.